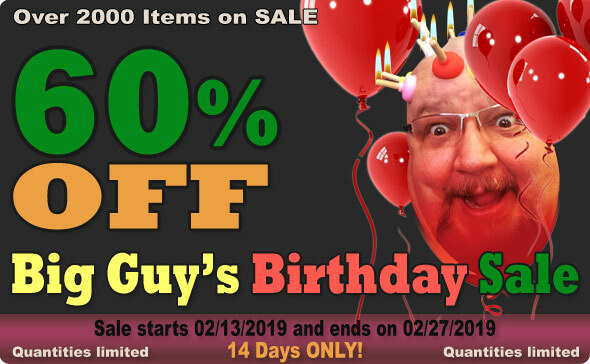 It's Big Guy's 2019 Birthday Sale! 60% Off Select Items! Wednesday 02/13 to Wednesday 02/327. 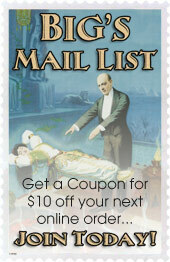 All items are new and in the box, unless otherwise noted. Quantities are limited. First come, first served. Pro Tip: Use your wishlist to store items as you search the 17,000+ items in the store. Buy Funny Joke Pills at Big Guy's Magic. ORDER NOW! Big's Enigma - by Big Guy's Magic. ORDER NOW!